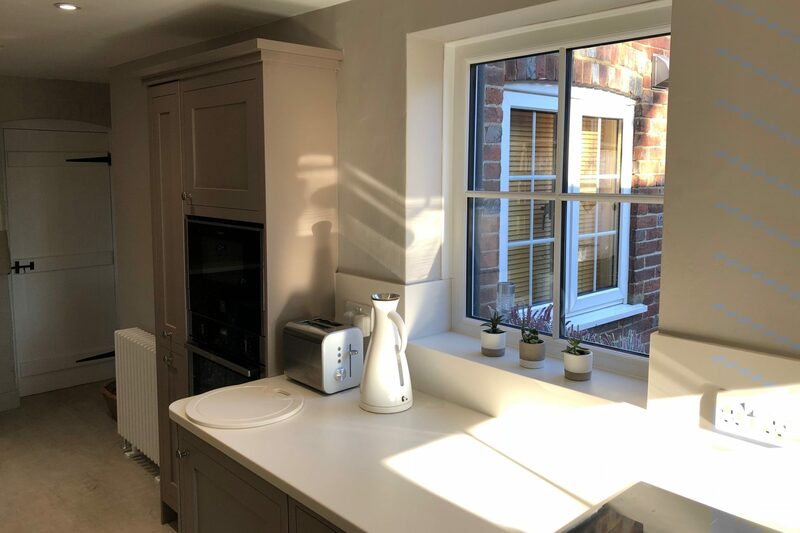 We removed the existing kitchen, Rayburn cooker and quarry floor tiles from this kitchen/dining room and installed this beautiful new kitchen which was designed and supplied by Potts Ltd. 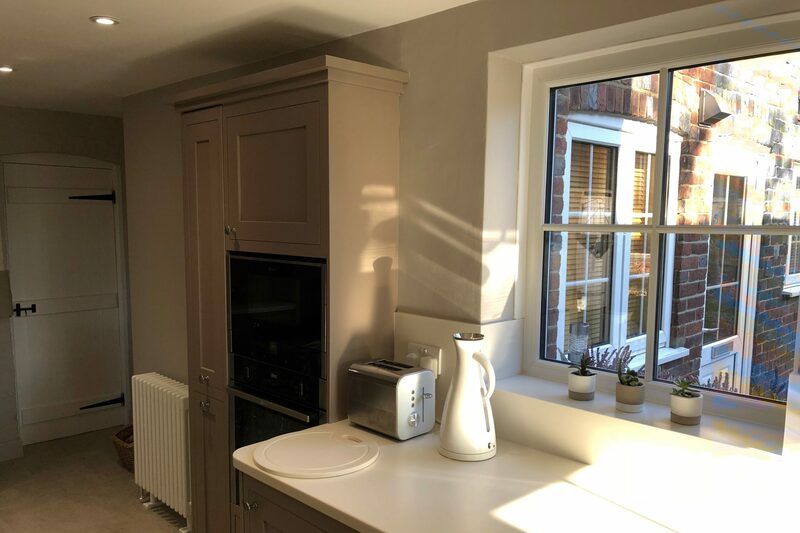 Being an older property the walls and floor were understandably uneven. 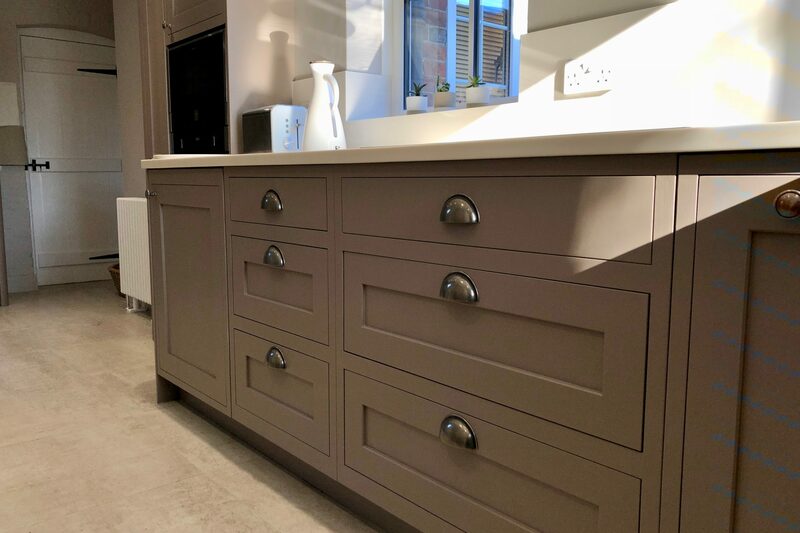 We levelled the floor and fitted porcelain floor tiles which gave us the perfect base to fit the new units and integrated appliances. 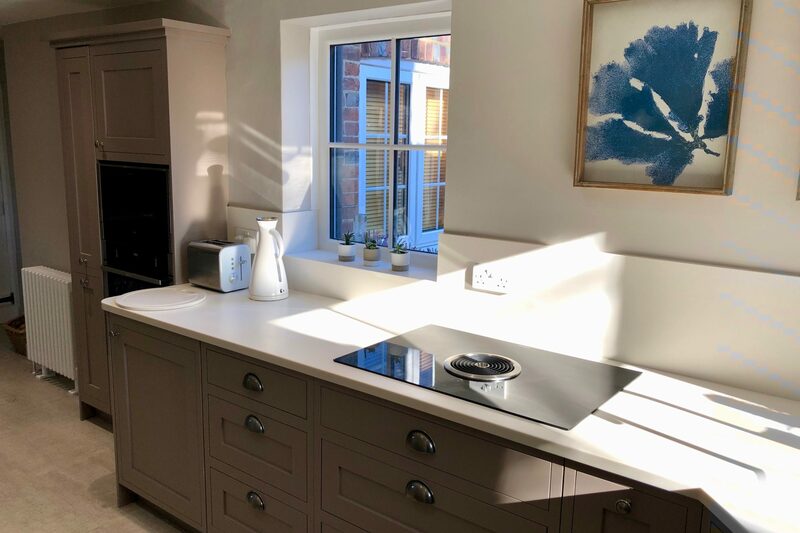 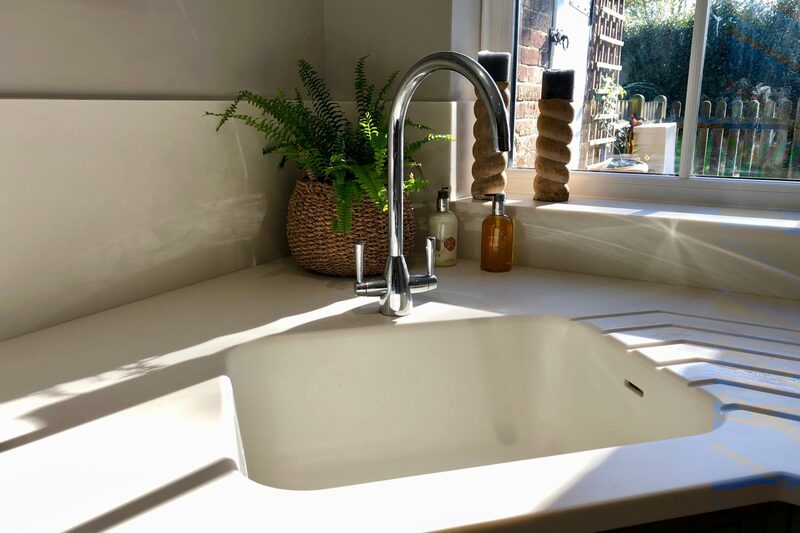 The kitchen is complimented by an induction hob with a clever down draught extractor system and corian worktops with up-stands, giving a modern twist on a very much traditional design. 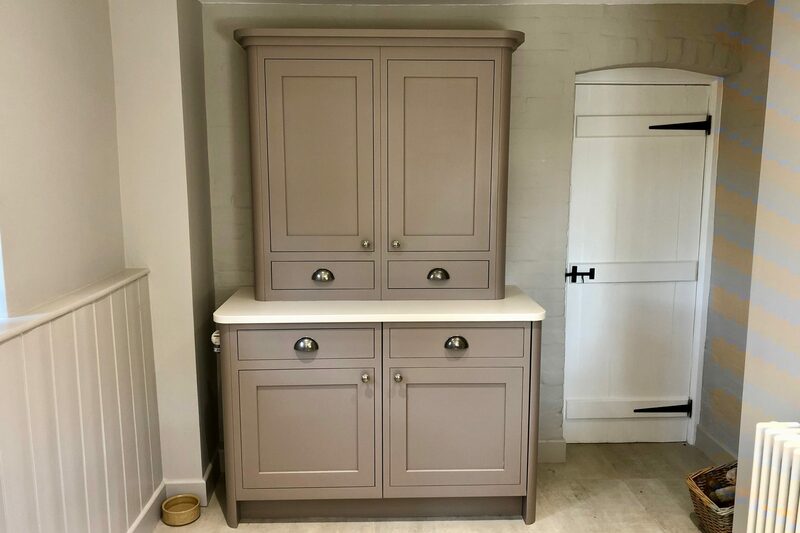 Taking into account the age of the property, the design incorporates dresser styled freestanding units to match. 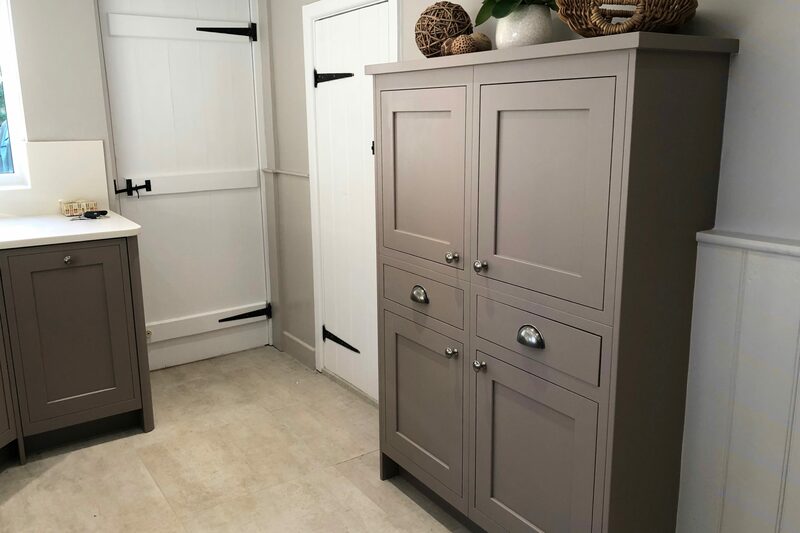 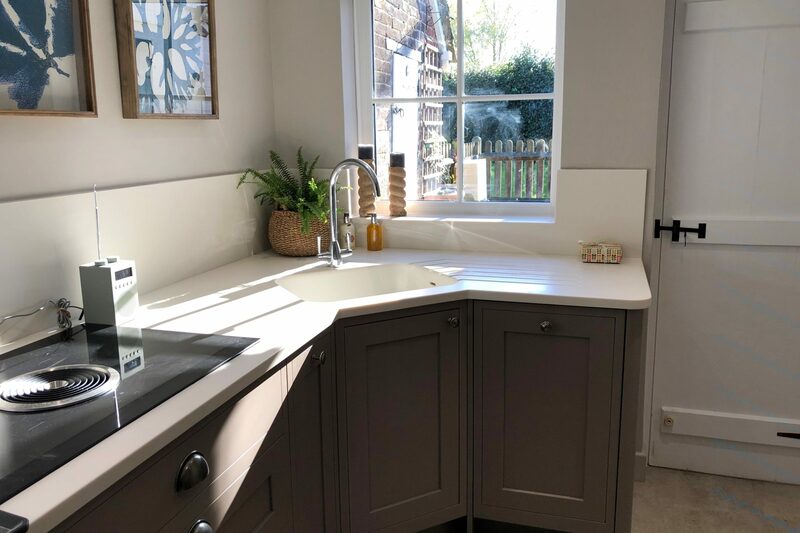 The whole project was completed in around 3 weeks which included the installation of a small cloakroom which is situated close to the kitchen.